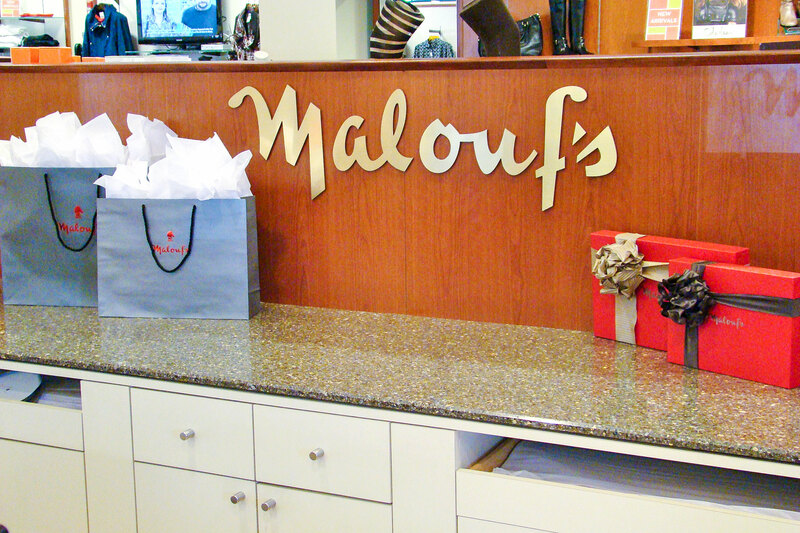 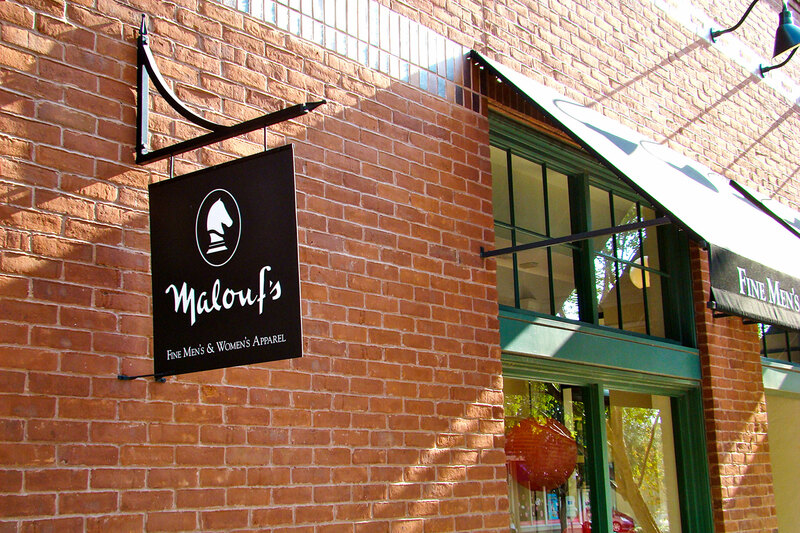 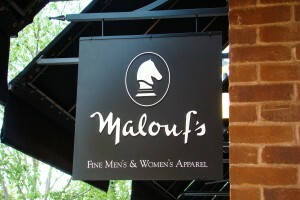 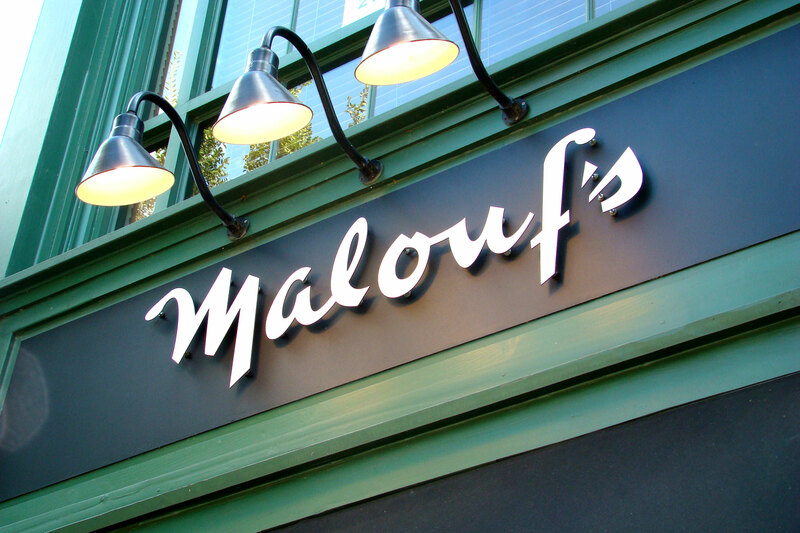 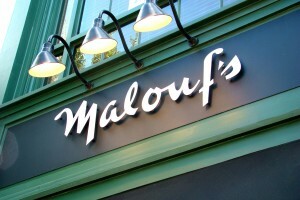 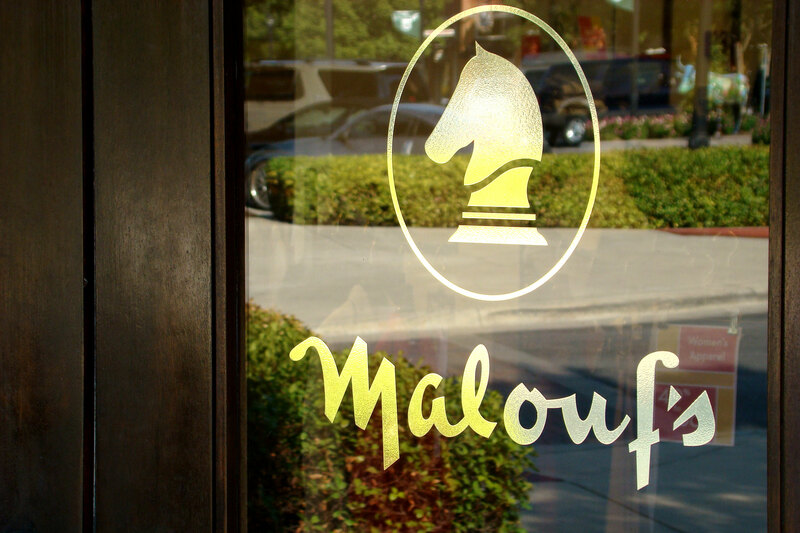 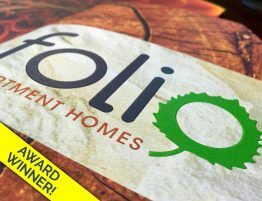 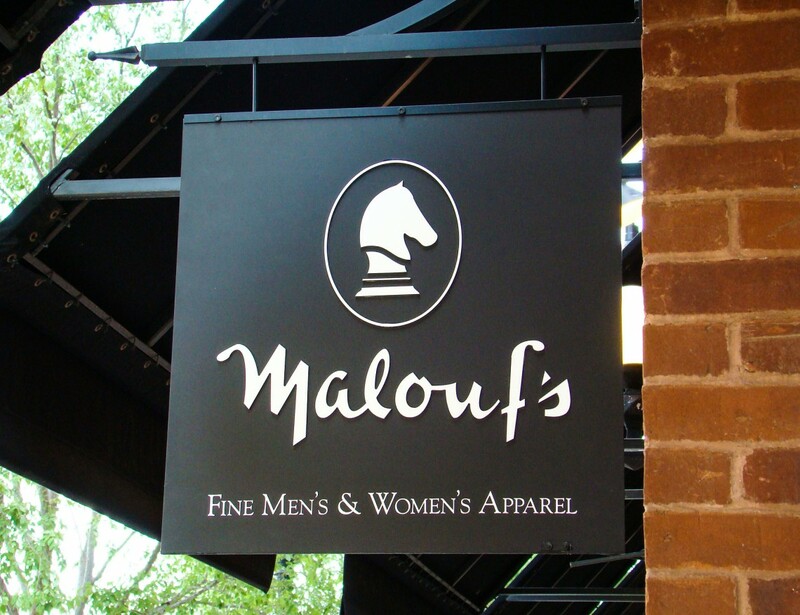 Malouf's Retail Identity Signage | Robinson Creative Inc.
Americana Appeal For This Upscale Retail Clothing Store. 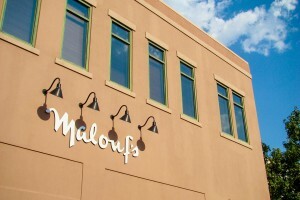 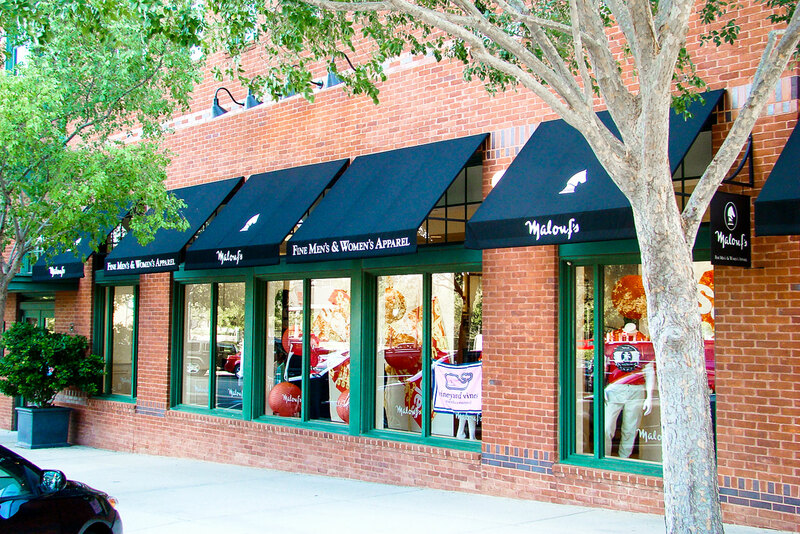 Originally the Malouf family ran a successful upscale clothing store in the Lubbock, Texas, area. 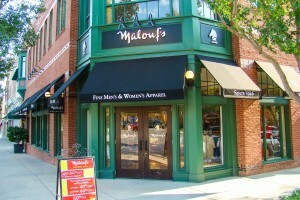 Customers drive for miles to shop at this prestigious and well-respected store. 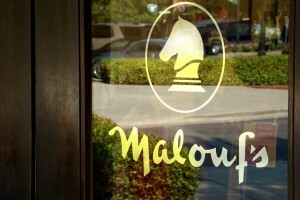 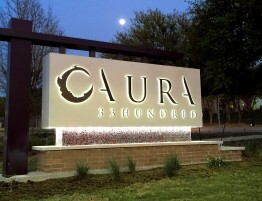 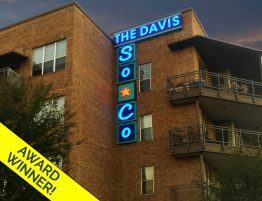 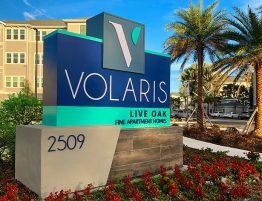 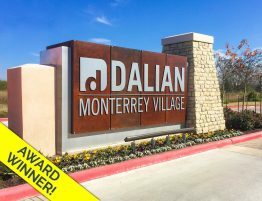 The family elects to open a Dallas/Ft Worth location in the trendy Southlake Town Square. 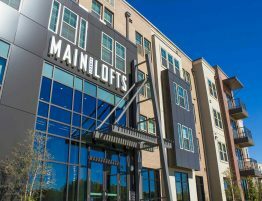 This multiple award-winning retail mecca gains national attention for incorporating Americana-type retail alongside a city hall, restaurants, cinema, hotel, residential and office. 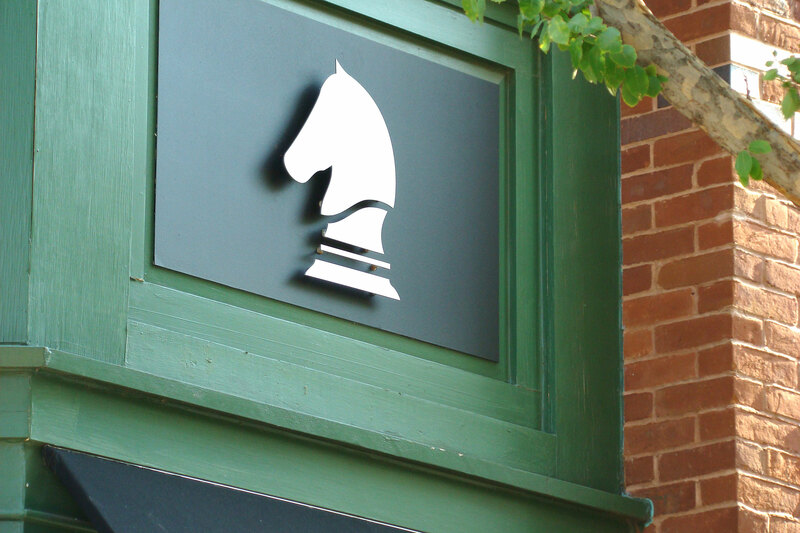 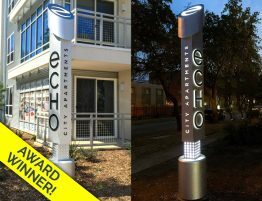 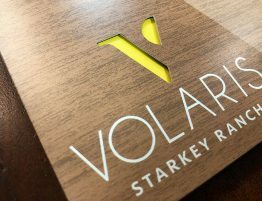 Robinson Creative establishes a traditionally solid brand with pin-raised metal letters, pedestrian identity, window graphics, awnings and interior signage. 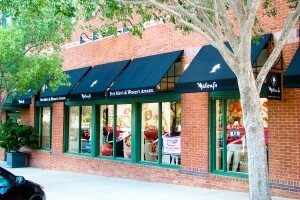 The appeal capitalizes on the family’s tradition as a fine clothier while integrating seamlessly into the Town Square.